New York Giants Reduce Roster to 53: The Giants have reduced their roster from 75 to 53 players. As expected, due to his previously-announced drug suspension, the Giants placed S Will Hill on the Reserve/Suspended List. Hill will not be able to practice or play with the team for four weeks. Hill will be eligible to return to the active roster on September 30. 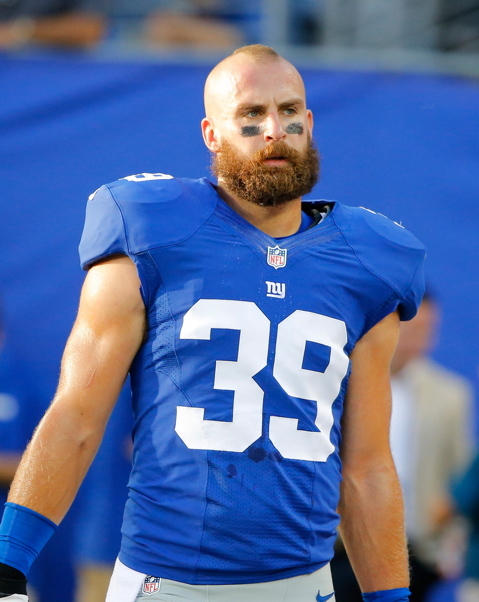 Also, as expected, the Giants placed DT Markus Kuhn (knee) on the Reserve/Physically-Unable-to-Perform (PUP) List. Kuhn was placed on the Active (preseason) PUP at the start of training camp. Kuhn is required to remain on the Reserve/PUP for at least six weeks. WR Ramses Barden (knee) was placed on season-ending Injured Reserve.